The astronauts on the human space mission ‘Gaganyaan’ will mostly be pilots, Indian Space Research Organisation scientists hinted on Friday. ISRO has started planning for selection of Gaganyaan astronauts. “We are looking for people with sufficient flying experience,” an ISRO scientist told PTI not wishing to be named. ISRO Chairman K Sivan meanwhile said the Indian Air Force and other agencies would play a major role during the selection of Gaganyaan astronauts. The Defence Research and Development Organisation is also likely to play a major part. ISRO on Friday announced its Young Scientist programme under which students will be given lecturers and access to research laboratories. “Under this one-month programme selected students, mostly 8th standard passed out students, will be given lecturers and access to research laboratories,” Sivan said while addressing a press conference in New Delhi. He said three students from each of the 29 states and seven union territories would be selected for the Young Scientist programme. Sivan said the students would get a practical experience of building small satellite. About Gaganyaan, Sivan said the first unmanned mission had been planned for December 2020. The second Gaganyaan mission would also be an unmanned one and has been planned for July 2021. The final manned mission will take place in December 2021. Prime Minister Narendra Modi had on 15 August 2018 announced the ‘Gaganyaan’ project envisaging sending three humans to space by 2022. Sivan also said one of the major focus areas for ISRO in 2019 would be to reach out to students. “Gaganyaan, outreach programme, planned missions and Vikram Sarabhai Centenary celebrations are the other priority areas,” he said. 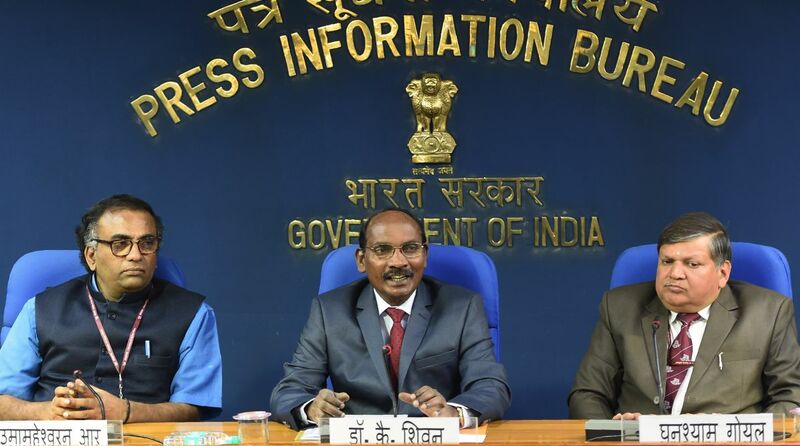 ISRO Scientific Secretary R Uma Maheshwaran, Deputy Director, Directorate of Human Space Flight Programme, AK Sinha, Director Office of Media, Public Relations, Vivek Singh were also present at the press conference.